1. It allows writers to gain feedback about their works to facilitate improvement. 2. It kicks off a regular program for writers to share their knowledge and network, among other objectives. 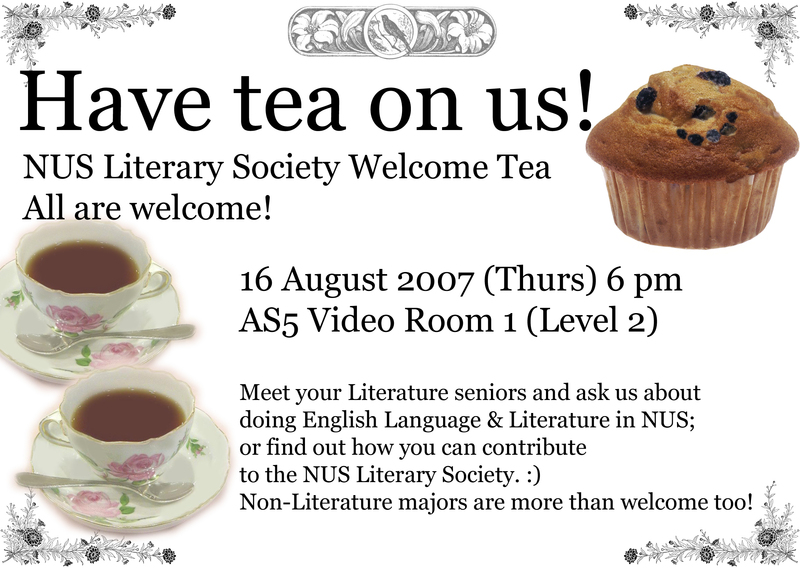 Whether you are a poet, a playwright or a prose writer, this event is for you, as long as you are an NUS student who does some writing on the side and wants an opportunity to learn more about writing. Just bring yourself and about six (6) copies of the work you would like to workshop along with some snacks and drinks (halal/vegetarian preferred!) to share – what’s a gathering without food?